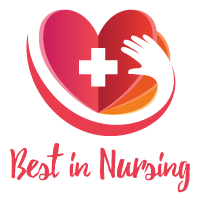 Ann M. Bajari, Treasurer at the Minnesota Public Health Association, has been recognized as a “Leader in Nursing” among “America’s Best Nurses” for 2017. She will be sharing her knowledge and expertise on Public Health, Administration, Community Development, Public Policy, and Patient Care. 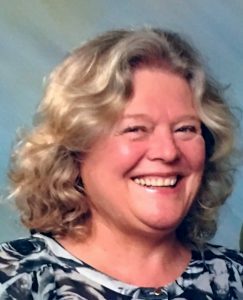 With over three decades of experience in the field of Nursing, Ann offers valuable insight in her role as Treasurer at the Minnesota Public Health Association. Located in Minneapolis, Minnesota, Minnesota Public Health Association (MPHA) was established in 1907 to create a healthier Minnesota through effective public health practice and engaged citizens. MPHA inspires effective public health leadership by offering opportunities for leadership, advocacy and enhancing learning, skills, and practice. As the Treasurer at the Minnesota Public Health Association, an all-volunteer organization, Ann’s day-to-day responsibilities include financial management of the organization, contributing to the decision making about day-to-day operations and organizational strategic planning, and duties as a member of the Executive Committee and Governing Board. Due to her commitment to the field, Ann has held notable leadership positions as the President of the Minnesota Public Health Association, Administrator of Meeker-McLeod-Sibley Counties Community Health Services Agency, Public Health Nurse and Agency Director at Meeker County Public Health and as a Registered Nurse and Charge Nurse for the Buffalo Memorial Hospital. Following her graduation with a Bachelor of Science in Nursing from College of St. Benedict in 1980, Ann earned her Master of Public Health from the University of Minnesota in 1993. Ann’s desire to pursue the field of nursing started at a young age during her experience as a candy striper. In high school and college, she worked as a dietary aide and nursing assistant eventually realizing the nursing field was the profession for her. Ann attributes her success to discovering her passion and belief in the principles of public health. Ann maintains a membership with The Minnesota Public Health Nursing Practice Council, Minnesota Public Health Association, and American Public Health Association. Previously, she has participated with the Minnesota Community Health Services Advisory Committee, the Minnesota Department of Health, and the Citizen’s Advisory Committee for Alcohol, Tobacco and Other Drug Abuse for the Minnesota Department of Human Services. As a testament to her success, Ann has been honored with the 2000 Jim Parker Leadership Award, 2004 Barbara O’Grady Excellence in Public Health Nursing Leadership Award, and 2013 Albert Justus Chesley Award. Among her many accomplishments, Ann is proud to volunteer with the Minnesota Public Health Association Leadership. Most of all, she is proud she could balance attending nursing school at The College of St. Benedict, clinical work, and being a mother of three young children in early elementary school. In her free time, she enjoys gardening, supporting and caring for her grandchildren, volunteering, and providing eldercare to her mother. Looking to the future, Ann plans to become more politically involved and will continue to volunteer with entities that can use her knowledge and skills. MPHA is a statewide non-profit all volunteer membership organization that is an affiliate of the American Public Health Association. Established in 1907 MPHA is a haven where public health workers from multiple disciplines, sectors, and communities collaborate by sharing values, goals, and priorities. Fueled by individual and collective passion, energy, and talents, MPHA works in several ways: offers public and professional education opportunities; links with and mentors new public health professionals; consults with MDH, U of M School of Public Health (SPH), and other public, private and non-profit agencies; forms or joins coalitions, partnerships and collaboratives; and develops and advocates for policy positions at local, state and national levels.